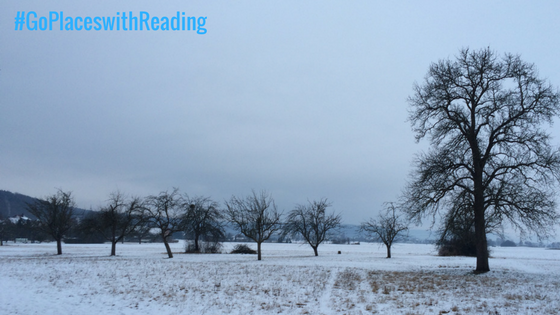 Angelina is currently studying abroad at the University of Tubingen with her German and International Relations degree at Reading. Find out about what she’s been up to before the festive period. I can’t quite believe that I am over half way through my semester here in Tübingen! Lectures and seminars have been going well although sometimes they are quite challenging, as a languages student all my lectures and seminars are in German. As with many other things lectures here are also a bit different to lectures in Reading. All of my lectures and seminars are at least two hours long and the earliest time a class can start is 08:00 mornings and one of my classes even finishes at 20:00 in the evening which took some time getting used to. One of the nice things about studying here is that I have no compulsory modules and I could choose modules on subjects that I am interested in. At the end of a lecture or seminar it is common for students to knock their knuckles on the desks which I found really bizarre. Probably one of the best things about studying in Germany during the Autumn/Winter semester is that Germany is probably one of the best countries to experience during the festive season. 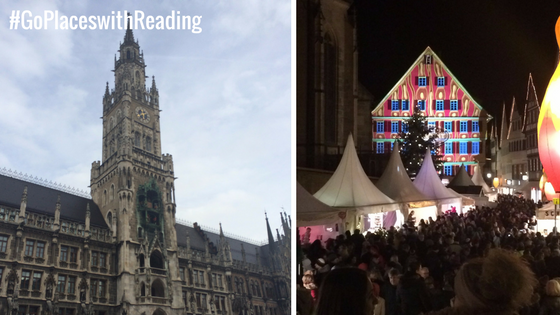 As soon as late November hit all anyone could talk about was the ‘Weihnachtsmarkt’, or Christmas market in English. Almost every German town will host a Christmas market of some sort and in Germany especially in the bigger cities they go all out. Christmas decorations and impressive light displays everywhere, lots of stalls and wooden huts selling crafts and German Christmas foods such a roasted sugared almonds, ‘Lebkuchen’ (gingerbread), sausages and of course it wouldn’t be a Christmas market without ‘Glühwein’ (mulled wine). In late November, early December for one week Tübingen is home to Germany’s largest chocolate festival. Chocolatiers and chocolate companies from around the world and Germany present their products and quite a few stalls even offer free samples. I was even able to take part in a chocolate workshop where I could make my own chocolate. As well as the chocolate market, Waldenbuch a town nearby has a chocolate factory too. If you really like chocolate Tübingen is a great place to spend study abroad. Another town about a 40 minutes train journey away from Tübingen called Esslingen has a really unique Christmas market. The Christmas market has a medieval theme and it is presented really well with fire dancing shows, people dressed up in medieval clothing and they served mulled wine and beer in clay cups. If you end up studying here next year I would definitely recommend it. Since my last blog post I have also had the opportunity to visit some of Germany’s larger cities, Stuttgart, Hamburg and Munich. Tübingen is well connected to the rest of Germany by train via Stuttgart. It is also relatively inexpensive to travel by bus to various cities in and around Germany. Even though the temperatures can drop quite a bit around this time, all the festivities make it worth it and if your wrap up warm it’s really not too bad. At the moment it’s currently snowing here and the town looks even prettier under a white blanket. 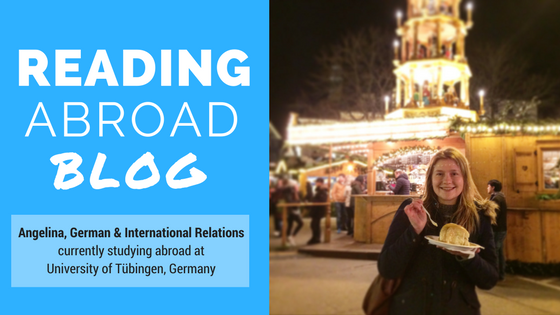 This entry was posted in Germany Study Abroad and tagged 2016/7, Erasmus, Europe, German, Germany, International Relations, University of Tubingen, Year Abroad. Bookmark the permalink. Good to read about Germany and education in Germany….